CLEVELAND – The Cavaliers have never lost a postseason series after leading 2-0, going 15-for-15 and sealing their sizeable advantages with convincing victories. The Raptors have been just as consistent throughout the 2017-18 campaign, never losing more than two consecutive games en route to the best record in the Eastern Conference. A tightly contested battle figures to take place on Saturday night at Quicken Loans Arena. Cleveland and Toronto will meet for Game 3 of the Eastern Conference semifinals after head coach Tyronn Lue and company won Game 1, 113-112, and Game 2, 128-110, at the Air Canada Centre in Toronto, Ontario. 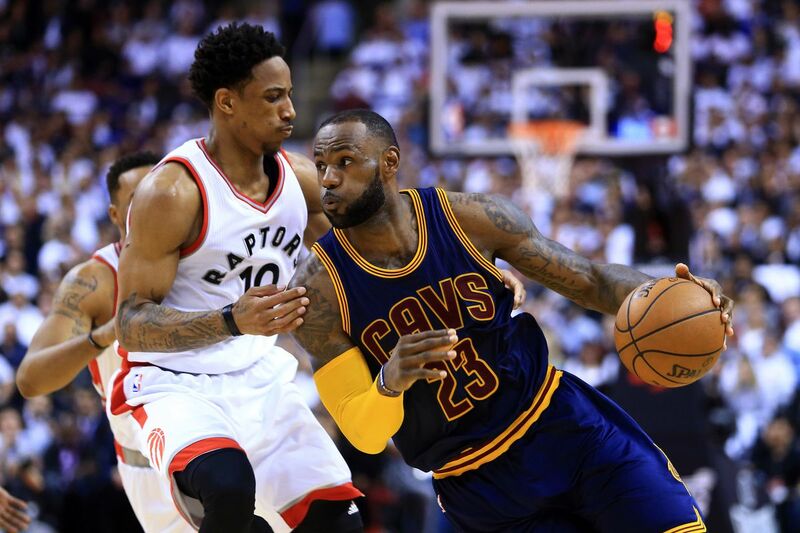 The Cavs have won eight straight playoff games against the Raptors, and they feature a dominant, 21-3 record in postseason contests at Quicken Loans Arena. Radio: WTAM 1100 AM, WMMS 100.7 FM, La Mega 87.7 FM. Cavs probable starters: PG George Hill, SG Kyle Korver, SF JR Smith, PF LeBron James, C Kevin Love. Raptors probable starters: PG Kyle Lowry, SG DeMar DeRozan, SF OG Anunoby, PF Serge Ibaka, C Jonas Valanciunas. Does the 76ers Losing Their Series to the Celtics Give Them an Edge to Landing LeBron James?